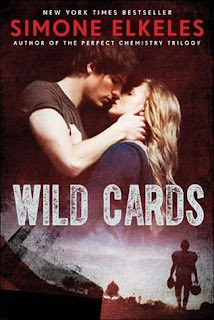 Let me first start off by saying that Wild Cards was my first book by Simone Elkeles. Yes, I have always heard how amazing the Perfect Chemisty series was, but I just haven't gotten around to reading it for myself. While I was at BEA (Book Expo America) this year, I heard about Wild Cards and decided to go ahead and grab a copy. Well, I am so freaking glad I did, because seriously this book was amazing!! I am now officially a fan of Simone's and will definitely be picking up all her other books ASAP! First thing I have to love about this book, of course, is that it is told in two POV's. I absolutely loved both Ashtyn and Derek and loved them even more since I got to get into both of their heads. I don't think I would have loved the story as much if it wasn't told from both POV's, because then I wouldn't understand why they were acting the way they did towards each other, and probably would have gotten frustrated and hated one of them, but I got into both of their heads and fell in love. They are great main characters. I found it very easy to relate to both of them, and could find something I had in common or could just relate to with both of them. I also really liked that they both had issues that they needed to work out and that it wasn't a perfect relationship. I also loved the other characters in this book besides Ashtyn and Derek. I loved how clueless, but yet completely in the know, Brandii (Derek's step mom and Ashyn's older sister) was. She was a great minor character. I also really love Brandii's son Julian and his relationship with Derek. I absolutely loved that even though they are world away in age that Derek really loves him and watches out for him. And finally I absolutely loved Derek's posh grandmother. She was so texanly awesome. At first I hated her with Derek, but then you see her true colors and really love her. The romance aspect was completely on point. I love that they both fought their feelings so hard and that it ended up making the romance go at a slow pace. It literally made me crave for something to happen between them, and that is what a reader loves; when they have to literally beg the book to make something happen. I could not put this book down once I started reading it. The only time I willingly put it down was to go eat dinner and even then the whole time I wanted to get back home to finish the book (which I did). And the ending! OMG the ending was amazing! I couldn't think of a better way to end this book. It completely won me over emotionally. This book was absolutely perfect and I wouldn't have changed a thing! I am so ecstatic that this will be a series, and I cannot wait to see what else is in store for the newest books to come. Congratulations Simone Elkeles, you have a new fan-girl!! AMAZING! AMAZING! AMAZING! Simone Elkeles has a new fan-girl to please and that is me! This was my first Elkeles novel and I absolutely adored it! 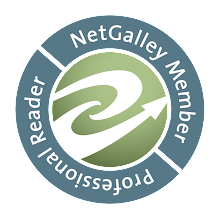 The characters were amazing and completely added to the story overall. I absolutely loved that it was told in both Derek and Ashtyn's POV's because it completely made the story genuine and heartfelt. The romance was completely on key and I couldn't get enough of it. This was a piece of perfection! I will definitely be reading the rest to come in this series and will reading all the other books she has written! !